Gudachari No 1 | Chiranjeevi, Radhika Sarathkumar, Raogopalrao, Gollapudi Maruthi Rao, Bhanuchander, Narayana P.L. 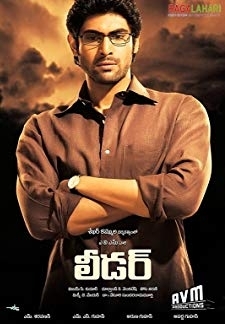 Vijay (Chiranjeevi) is a CBI agent who lives in Delhi. On a special operation, Vijay is sent a place where a gang involves in every illegal activity. His job is to gain proofs against them and bring them to justice. Vijay succeeds in bursting the gang and in the due process, he meets Rekha (Radhika) and falls for her. Vijay manages to liquidate the boss of that gang and returns to Delhi with Rekha as his wife. 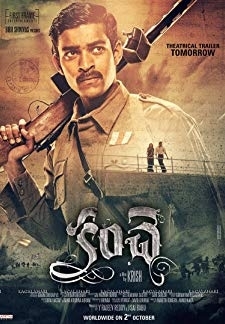 Starring : Chiranjeevi, Radhika Sarathkumar, Raogopalrao, Gollapudi Maruthi Rao, Bhanuchander, Narayana P.L. © 2018 Scratchu.com Gudachari No 1 | Chiranjeevi, Radhika Sarathkumar, Raogopalrao, Gollapudi Maruthi Rao, Bhanuchander, Narayana P.L. 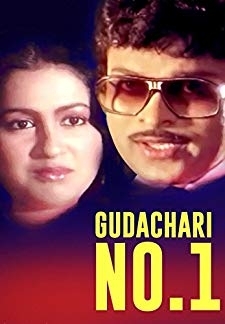 - Gudachari No 1 (1983) | Telugu Movie | 7.1/10 | Synopsis : Vijay (Chiranjeevi) is a CBI agent who lives in Delhi. On a special operation, Vijay is sent a place where a gang involves in every illegal activity. His job is to gain proofs against them and bring them to justice. Vijay succeeds in bursting the gang and in the due process, he meets Rekha (Radhika) and falls for her. Vijay manages to liquidate the boss of that gang and returns to Delhi with Rekha as his wife.... Watch Online!! !